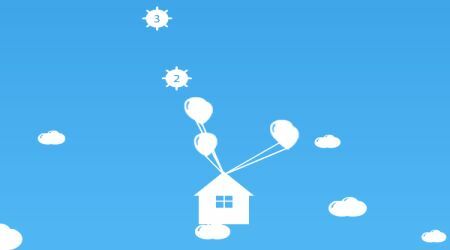 Collect balloons by clicking on them, this will make your house fly higher. Control your flight using the WASD or arrow keys. 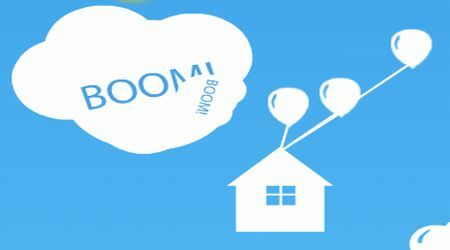 Avoid getting hit by the falling bombs, click and drag them against each other to make them burst. Complete every mission that appears on the upper left side of the screen to earn more money. You can use the money to buy upgrades by clicking on the UPGRADES button. Once you have collected enough balloons to fill up the surprise bar, you will be given a gift. You can pause the game by pressing ESC, P or the space bar. Remember that the game automatically saves your progress so you can start where you left off the next time you play.